Rapture – Season 1 (2018) – What's New on Netflix Canada Today! Rapture stares directly into the bright light that hip hop culture shines on the world and doesn’t blink. 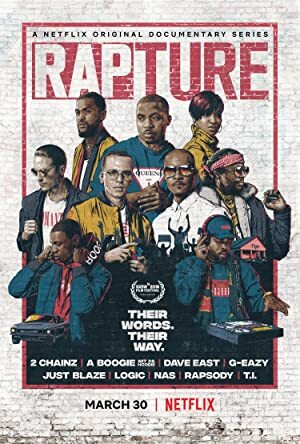 Throughout 8 episodes Rapture dives into artists’ lives with their families and friends, to sitting front row in the studio and grinding on tour, to experiencing the ecstatic power of moving the crowd. Featuring an impressive collection of artists who have found worldwide success, this documentary series showcases hip-hop's impact on global culture.